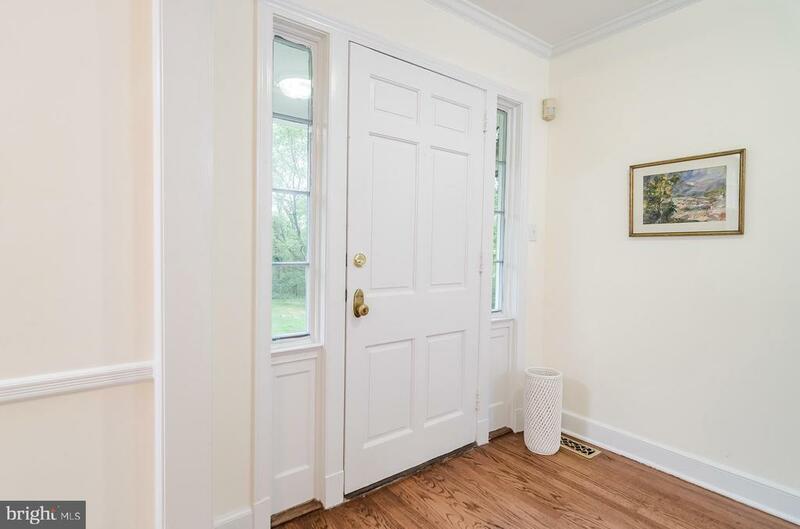 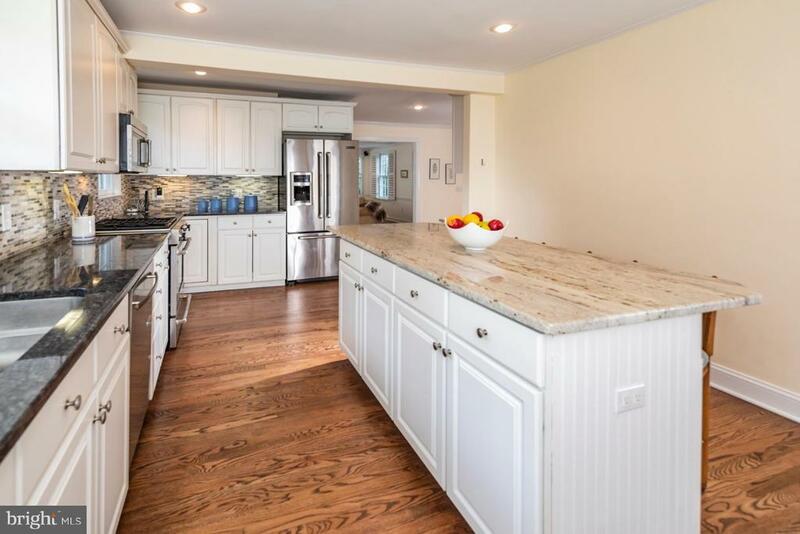 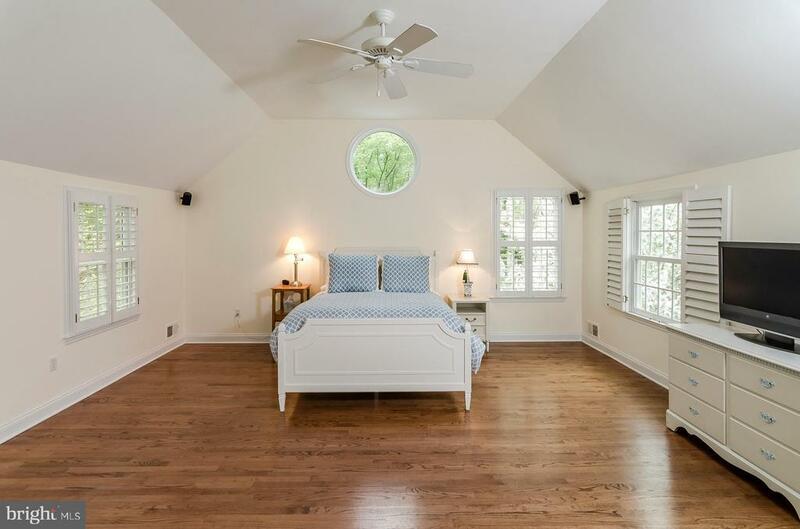 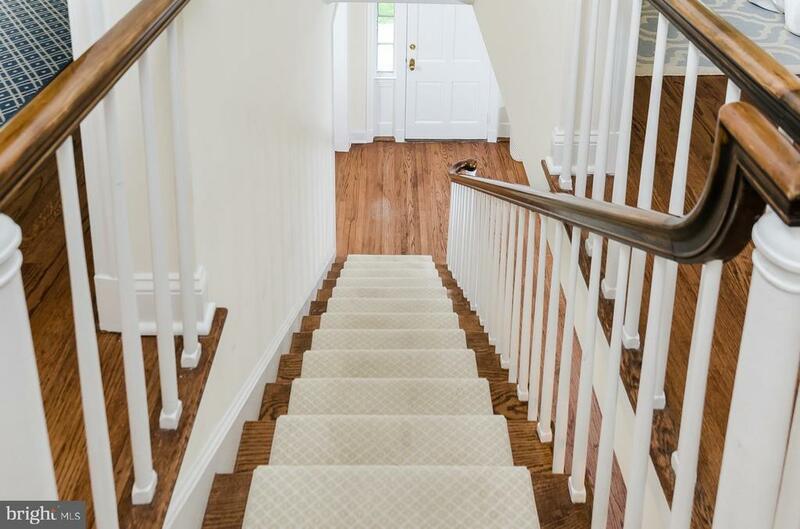 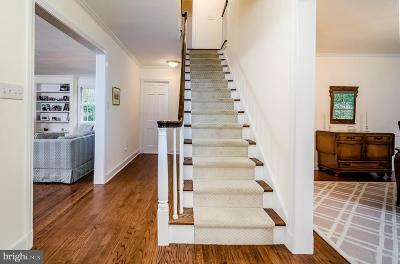 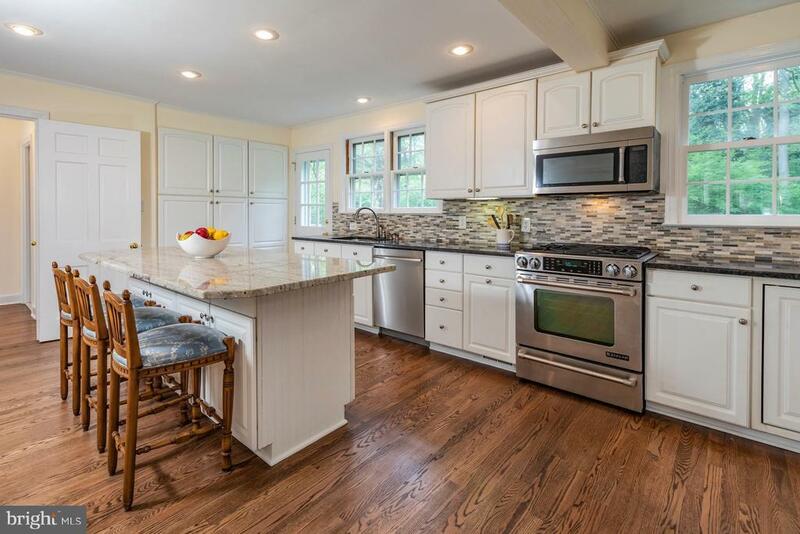 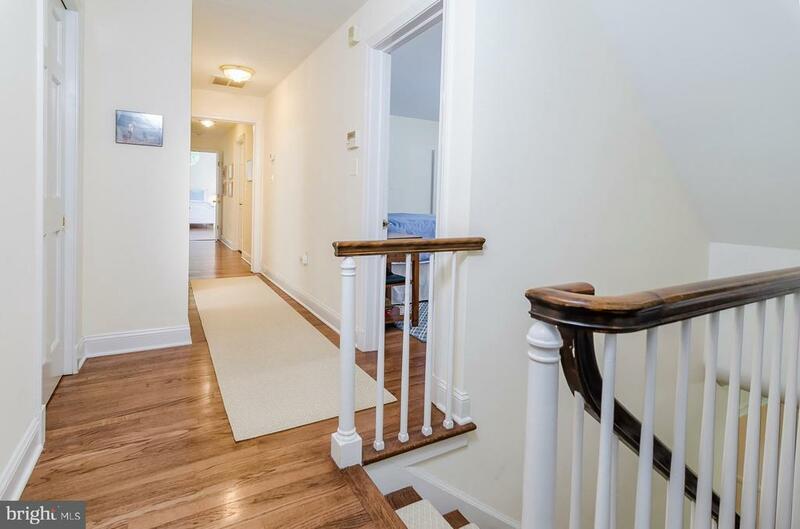 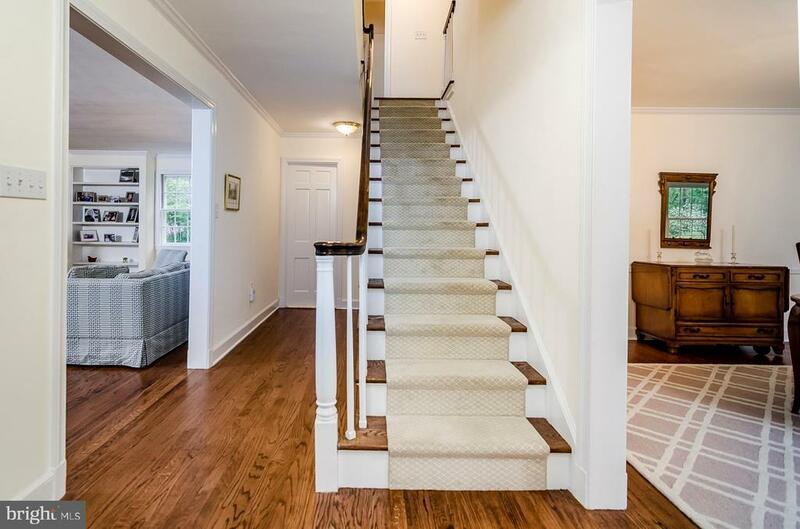 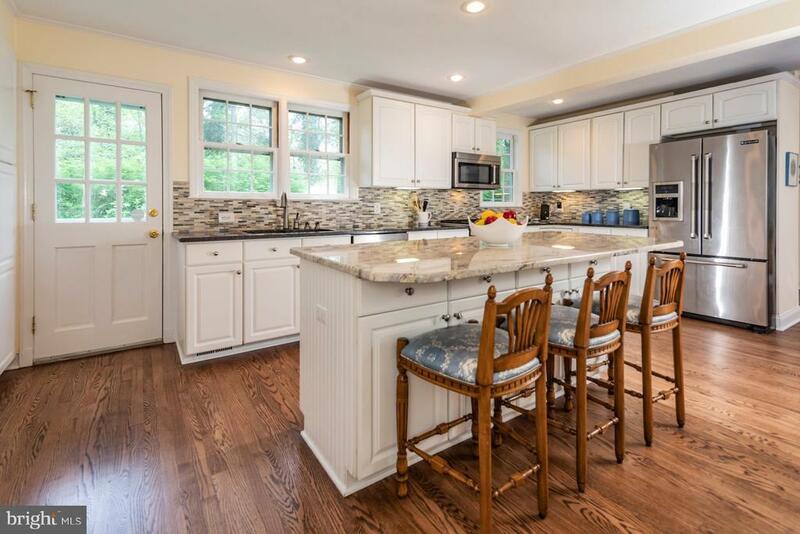 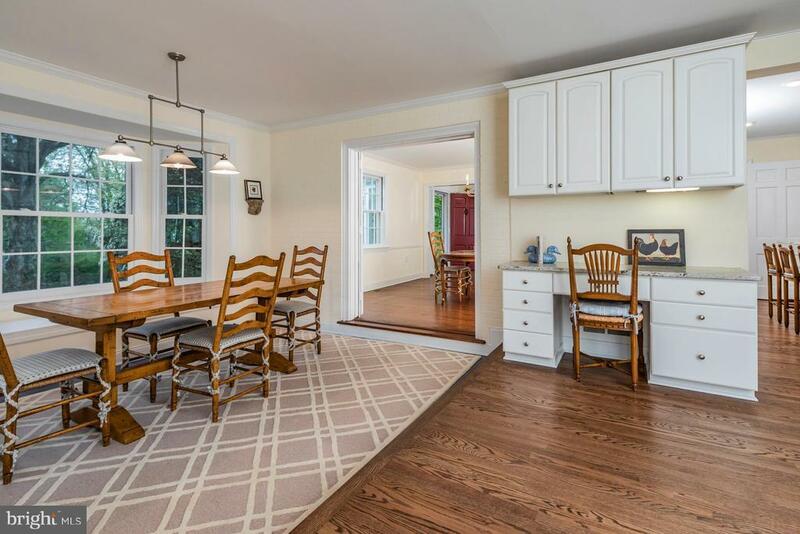 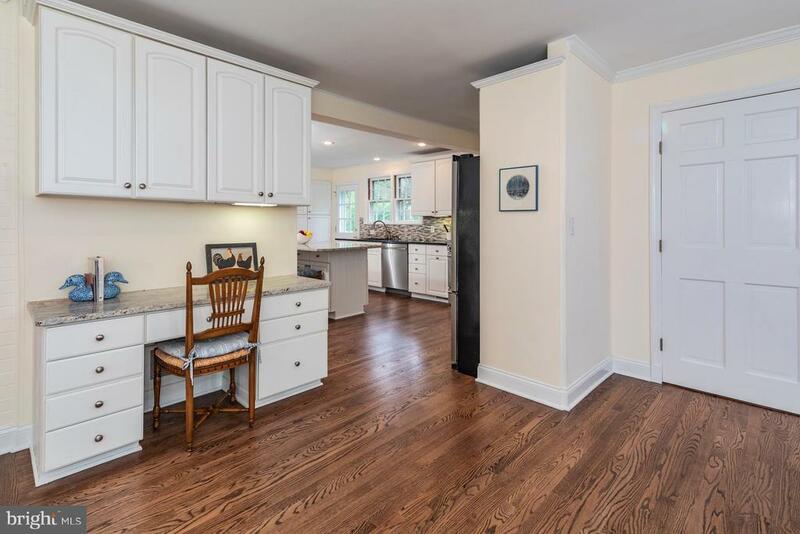 New hardwood floors in kitchenThis home is uncommonly generous in size and located at the top end of a cup-de-sac on one of Lawrencevilles most treasured streets. 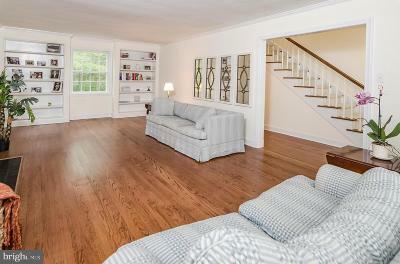 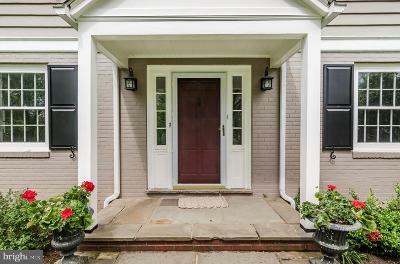 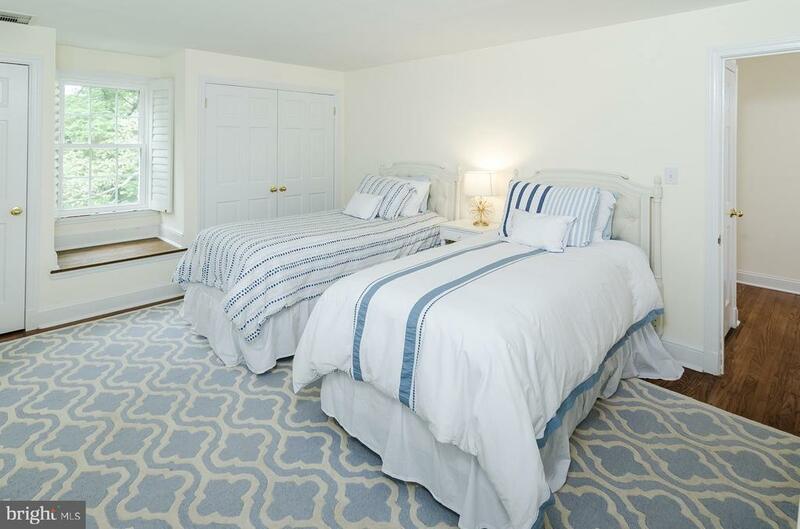 Factor in all the recent renovations and plenty of charm and youve got a real in-town gem. 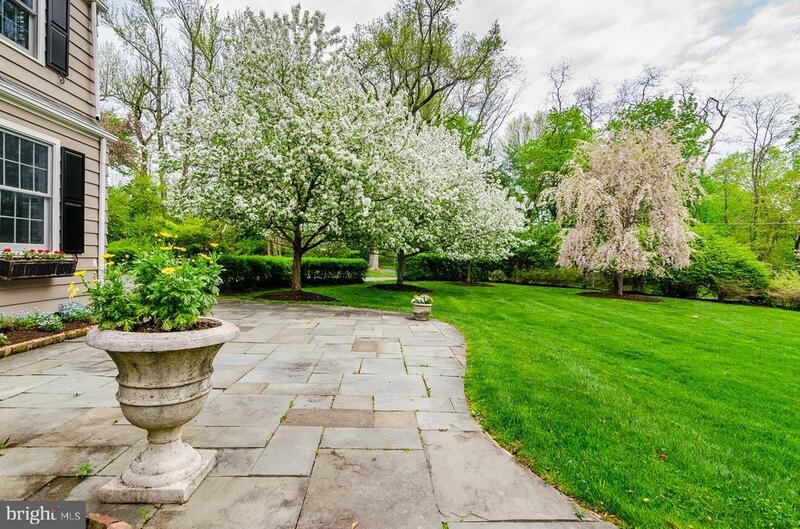 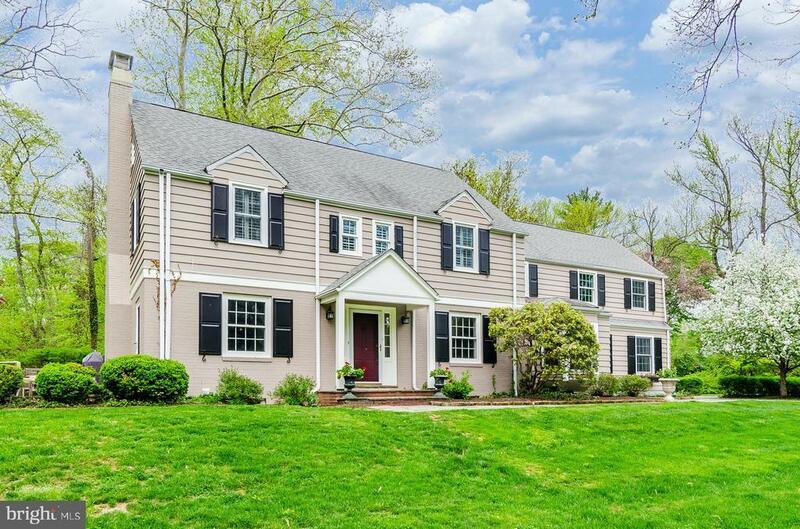 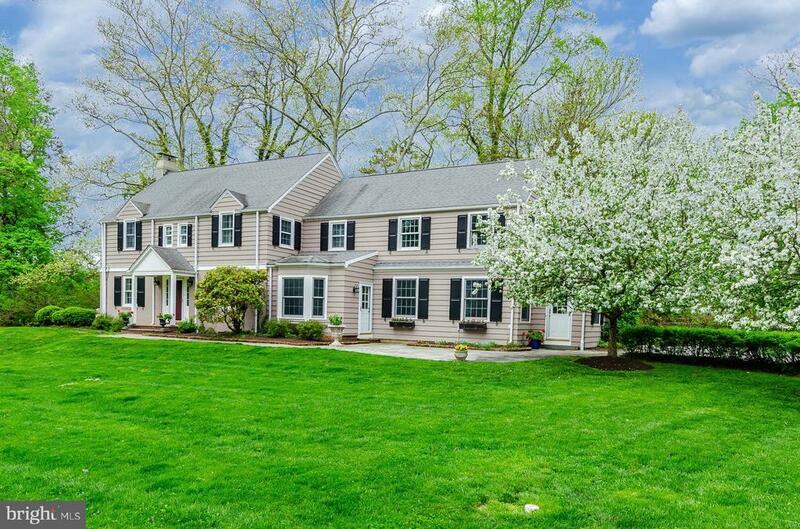 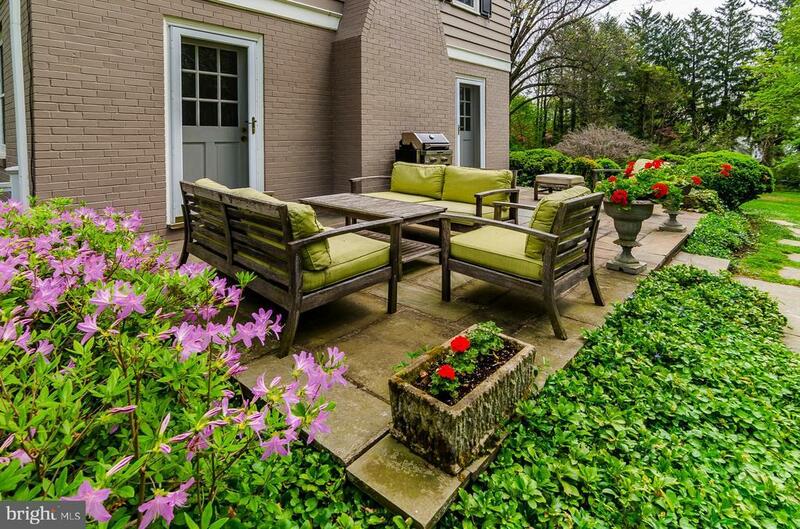 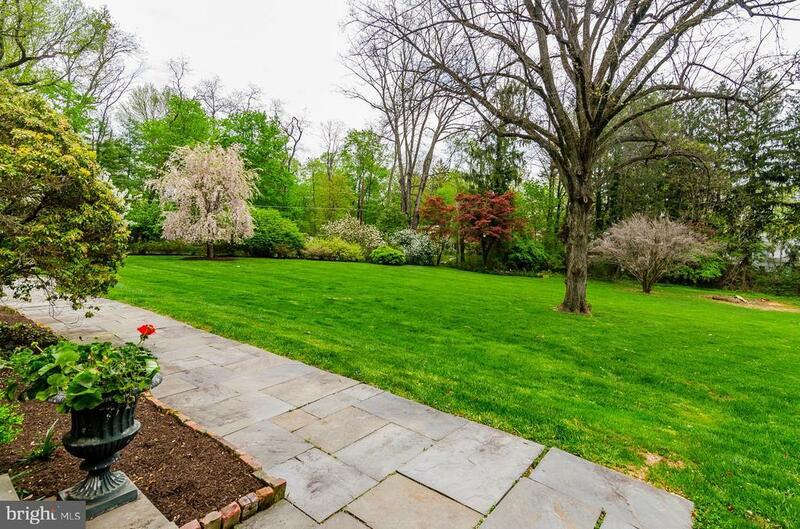 A stone patio overlooks the extensive, beautifully landscaped private yard, just shy of an acre, and leads to the entry introducing a traditional center hall floor plan. 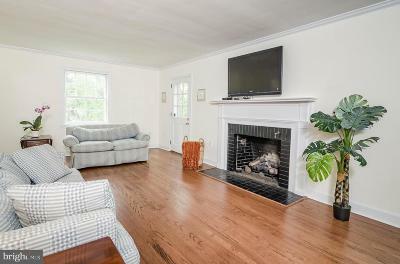 In the living room, doors flanking the fireplace open onto a second stone terrace. 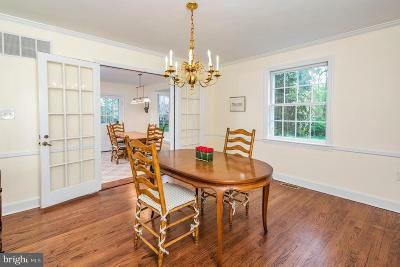 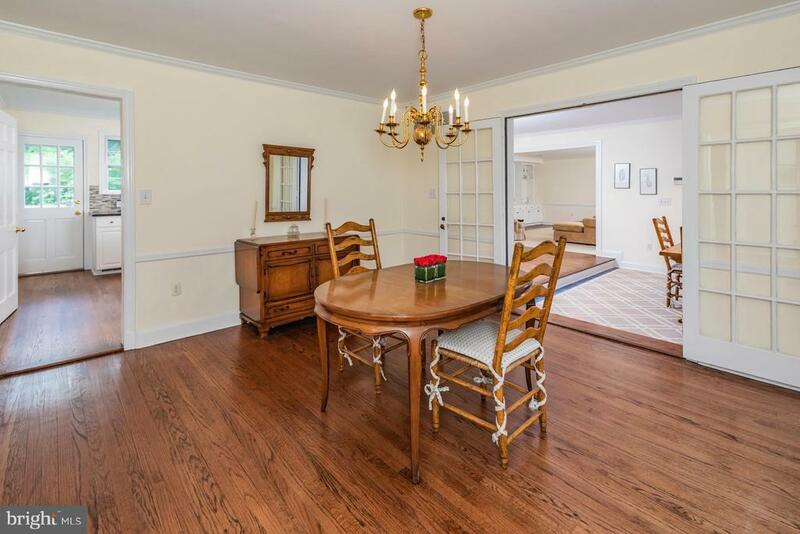 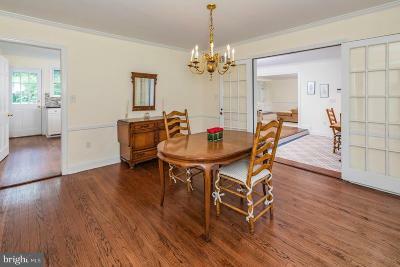 The dining room is extra wide with pretty French doors. Deep blue tile invigorates the breakfast room and high-end kitchen with a long granite island and Jenn-Air appliances. 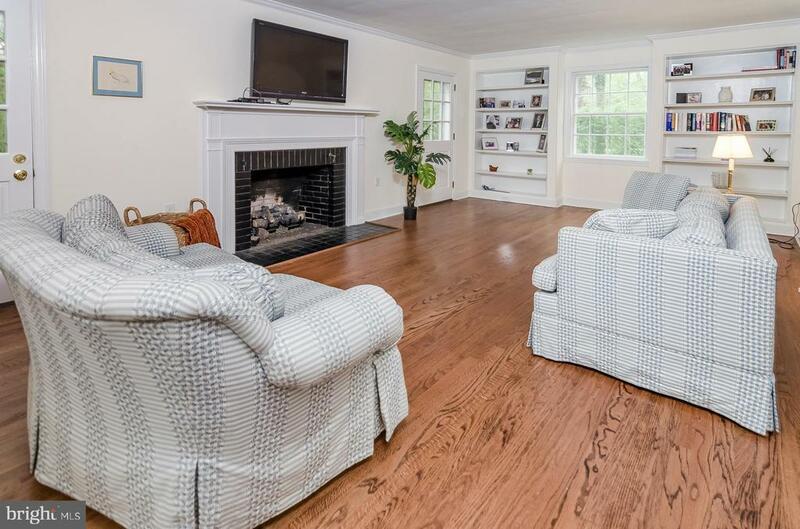 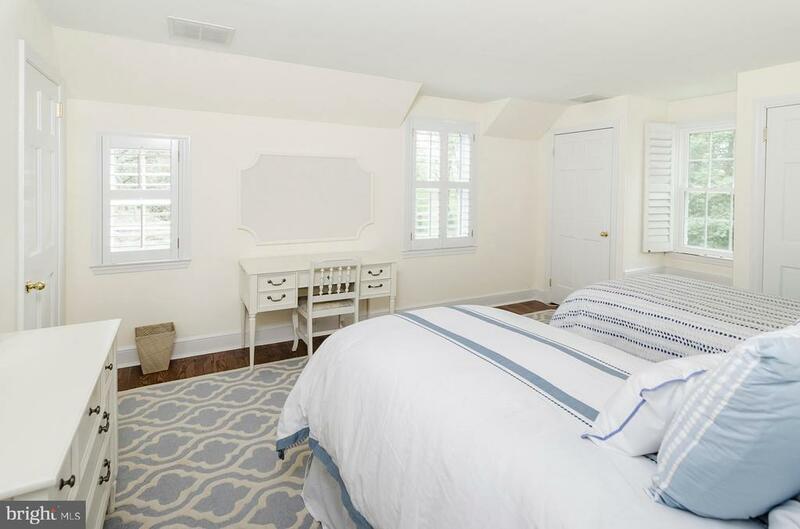 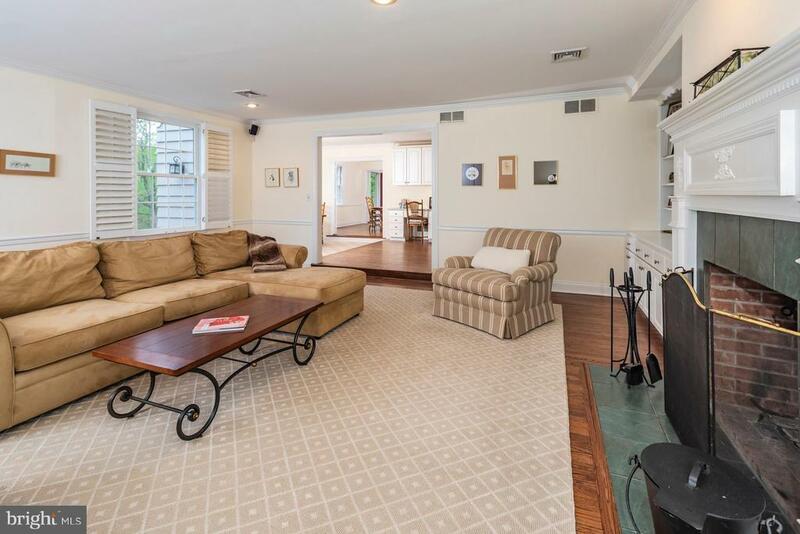 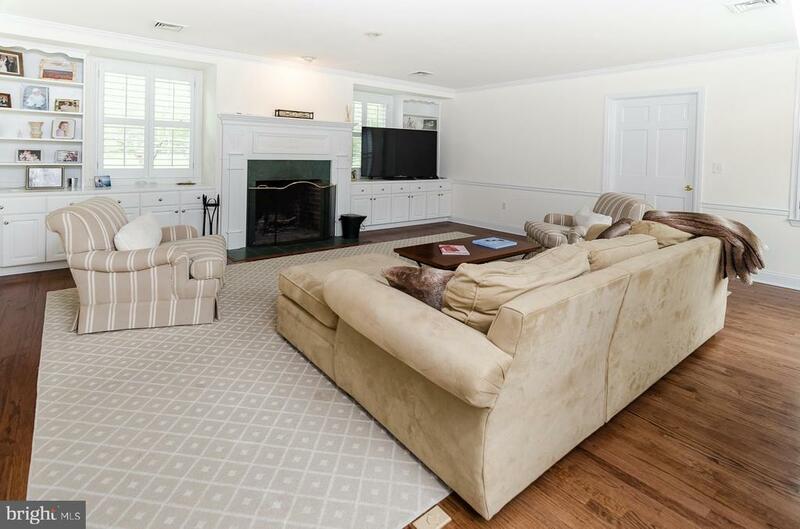 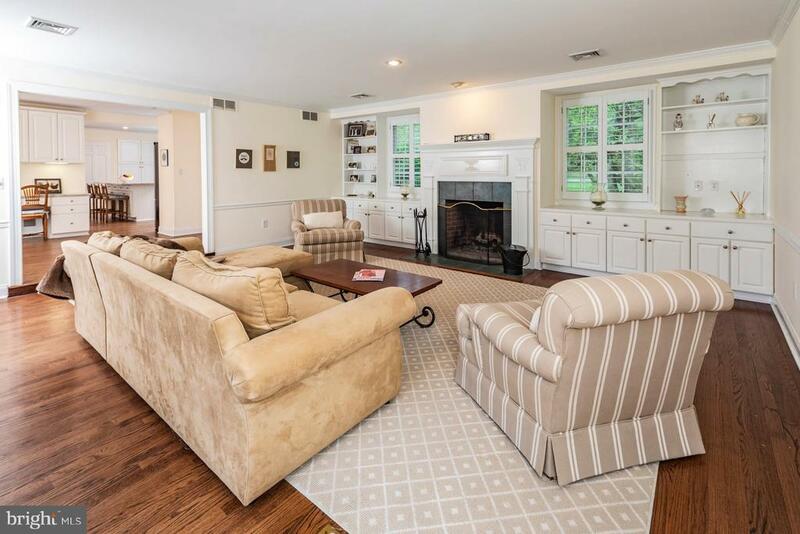 The family room is beautifully detailed with built-ins, another fireplace and custom plantation shutters - a feature also found in the four upstairs bedrooms. 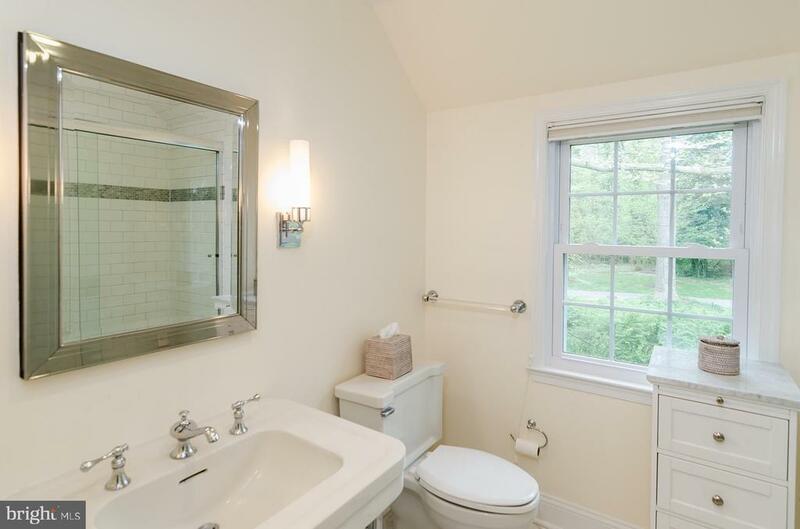 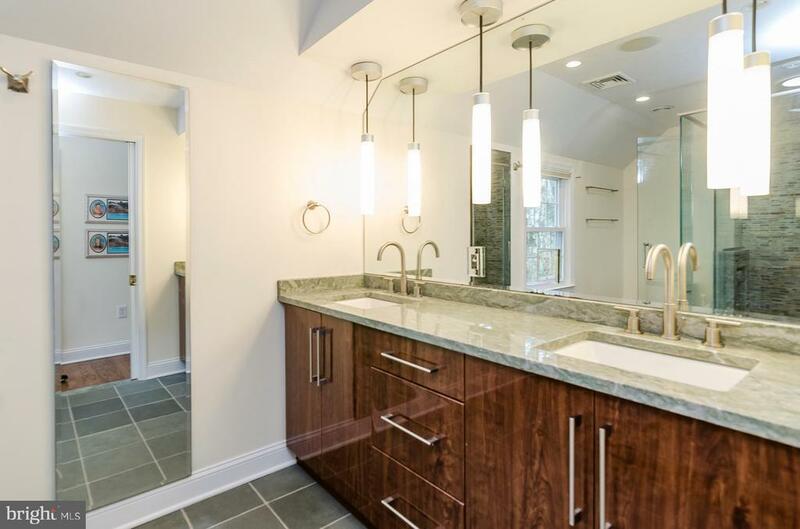 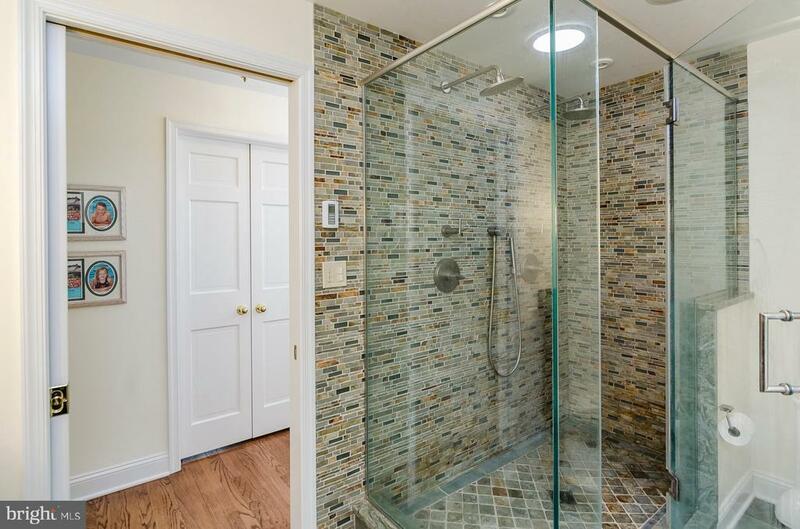 All of the bathrooms, three full and two half, are renovated with tasteful, top-of-the-line finishes. 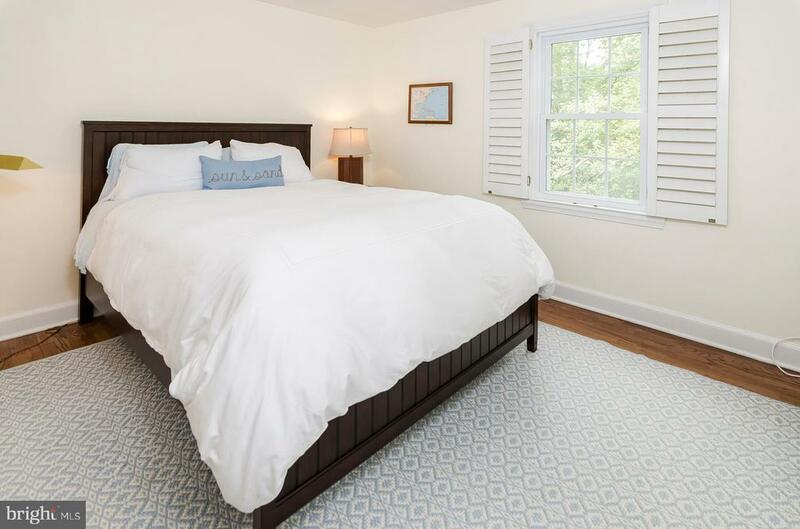 The lofty master suite features a cathedral ceiling, three spacious closets, and boasts a sky-lit master bath complete with double lacquered wood and granite vanity, a dual headed stone-tiled shower, and radiant heated floor. 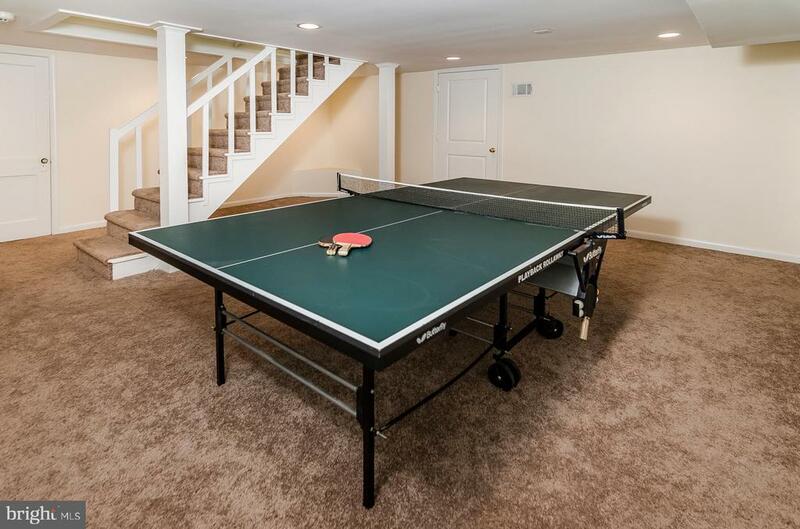 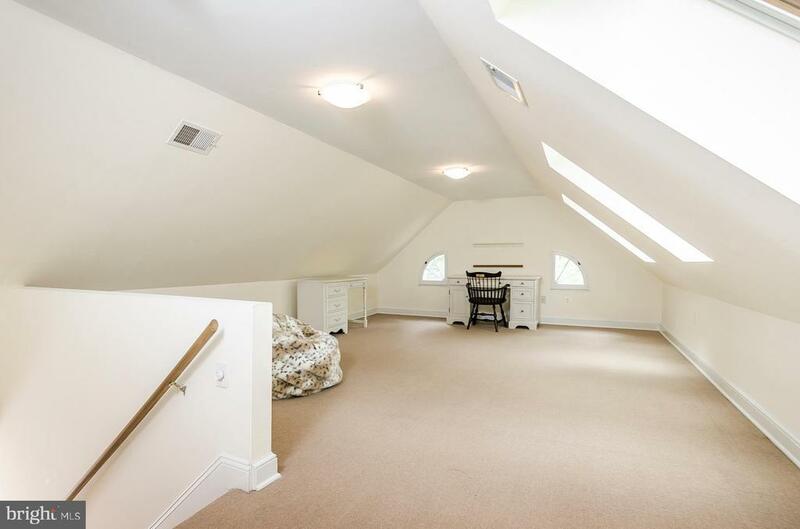 More flexible space spans the sunny top floor and the finished basement.